Le 2 features a rear camera with a resolution of 16 megapixels along with a new image sensor while the front camera comes with an 8MP resolution. A noticeable change is that LeEco ditched 3.5 mm headphone jack and provided a USB Type-C audio port. The device is powered by Octa-Core Qualcomm A Snapdragon TM 652 and a 3GB RAM. Priced at Rs 11,999, Le 2 aims to mimic the success of Le 1s. As per various reports the Chinese tech giant sold 500,000 units of the Le 1s range in less than 100 days of its launch. On the storage front, Le 2 comes with a 32GB non-expandable storage. The Le 2 sports a 5.5-inch bezel-less HD display and is powered by a 3000mAh battery. On the other hand, Le Max 2 sports a 5.7-inch QHD bezel-less ‘Super Retina’ display and is powered by a 64-bit quad-core Qualcomm Snapdragon 820 processor, a 21-megapixel rear camera, 8-megapixel front camera, a 3100mAh battery. Combined with LeEco’s technology with the Qualcomm Quick Charge 2.0 technology, Le Max 2 can provide 3.5 hours of battery life with a 5-minute charge. As per reports, Le Max 2 comes with Sense ID 3D fingerprint technology, which recognizes fingerprints despite moisture or grease on the finger. Both Smartphones supports 4G LTE in India, along VoLTE support and run on Android 6.0 Marshmallow with Emotion UI 5.6.01 skin on top and supports phase detection autofocus (PDAF) on their rear cameras. 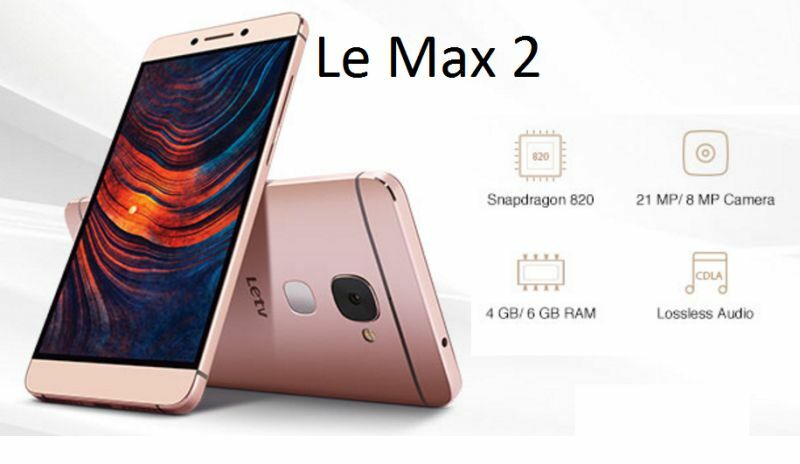 Le Max 2 has been priced at Rs. 22,999 for the 4GB of RAM/ 32GB storage variant, and Rs. 29,999 for the 6GB RAM/ 64GB storage variant while the Le 2 has been priced at Rs. 11,999. Both the smartphones come with a 1-year LeEco Membership, which is normally priced at Rs. 490 a month, or Rs. 4,900 a year. The package includes access to Le Live, Le Vidi, Le Music, and LeEco Drive. On the launch event, the company also announced a fan campaign, where it is stated to give away 200 Le 2 smartphones priced Rs.1 for ‘testing’ to bloggers, tech geeks who can register on Facebook and LeMall.com for the giveaway.